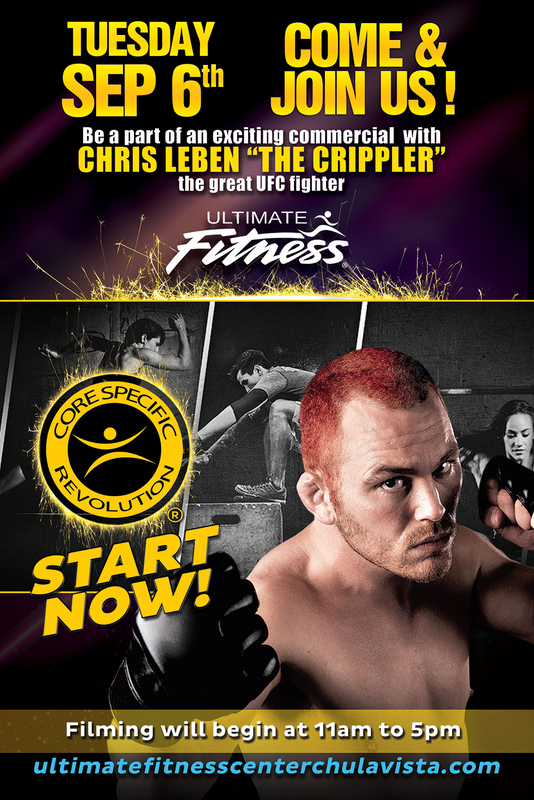 Come Join UFC Fighter Chris “The Crippler” Leben at Ultimate Fitness to film the commercial for the Core Specific Boot Camps! Core Specific Revolution is the next big thing in fitness. Be apart of the excitment and get ready to take your fitness journey to the next level and train like a fighter/athelte and reach your goals and peak performance.